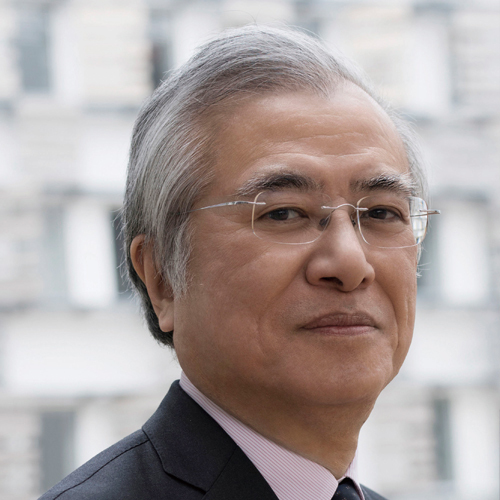 The technological foundations of ICT have been maturing recently, and efforts toward open data, which publish information of a publicly-relevant nature in a reusable way, are part of a global trend. It is widely known that the data from Transport for London being made available as open data contributed to the improvement of services for various visitors during the London 2012 Olympics and Paralympics. Similarly, various public transportation data were made open for the 2016 Rio de Janeiro Olympics and Paralympics. 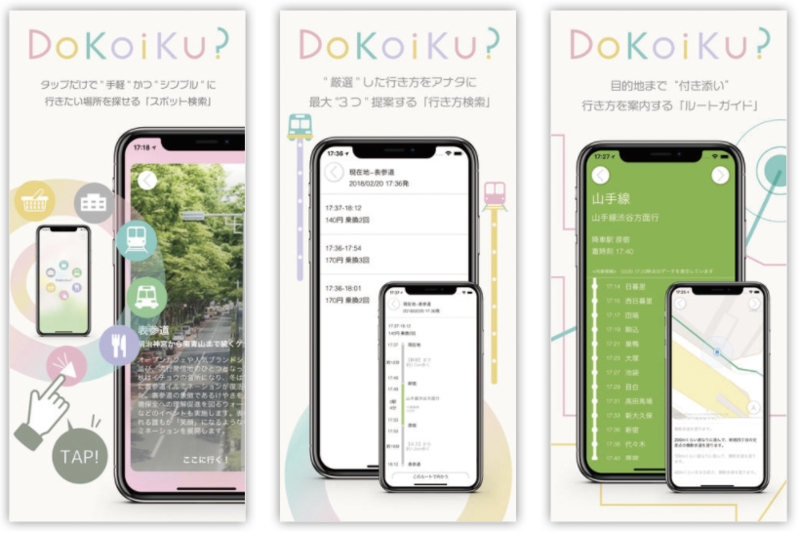 It is expected by Japan and other countries that Tokyo, which is said to have the most complicated transportation system in the world, will also make public transportation data available for the upcoming 2020 Olympics and Paralympics. The Association for Open Data for Public Transportation is an industry-government-academia association, which was started with major public transportation operators related to Tokyo and ICT businesses to foster the open distribution of Tokyo’s public transportation data. Currently, 56 organizations participate in this association. 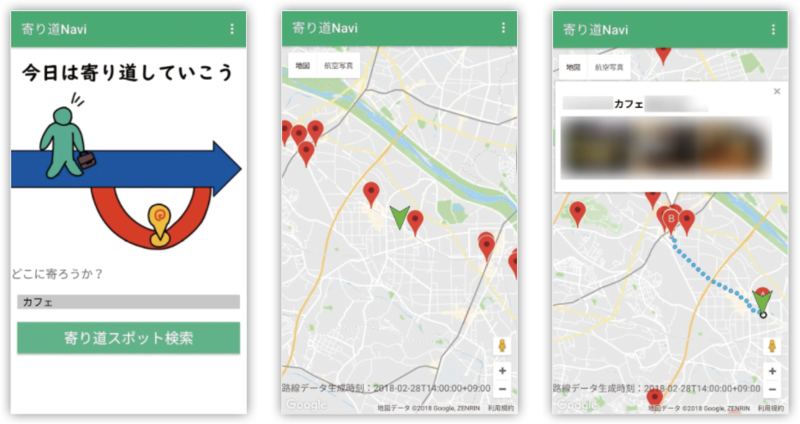 The “Open Data Challenge for Public Transportation in Tokyo” was held in collaboration with many public transportation operators as a stepping stone to move toward greater openness of public transportation data in Tokyo. 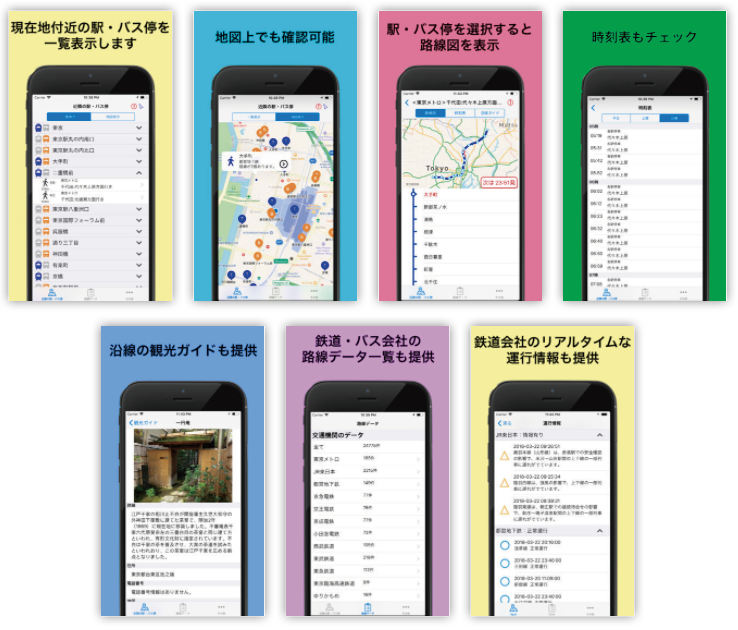 It was a contest of unprecedented scale for open data in the public transportation sector in Japan. 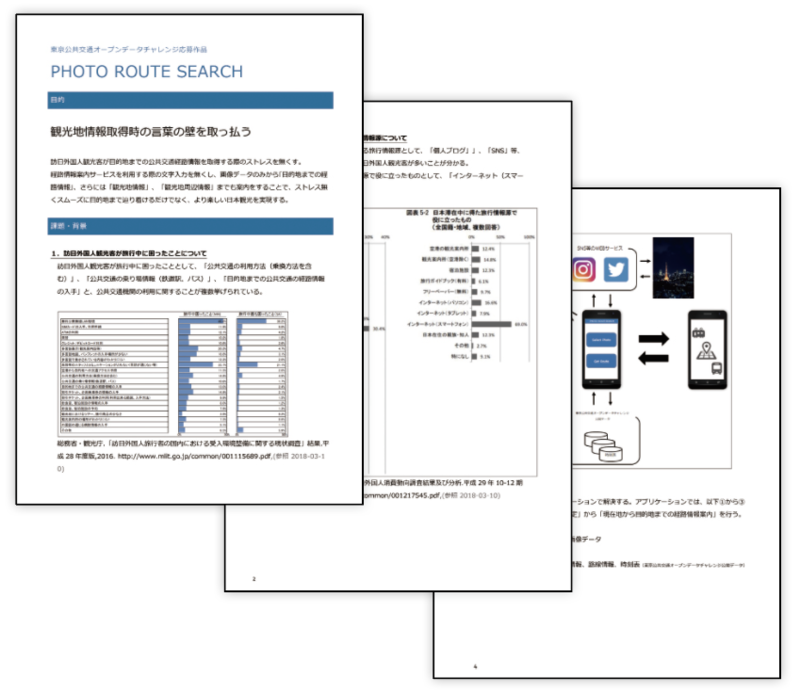 The data was provided by 22 railway, bus, and airline operators including JR East, Tokyo Metro and Bureau of Transportation, Tokyo Metropolitan Government. Notably, this contest attracted attention for including not only static data such as timetables, but also many types of dynamic data such as location data of trains and buses. 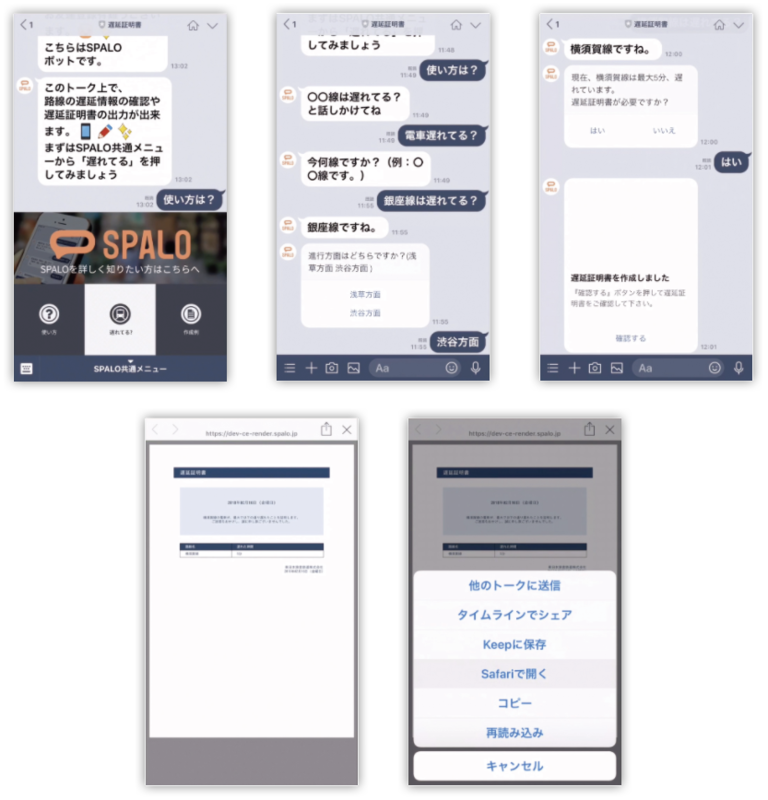 Although the application period was rather short —about three months— there were about 800 registrations for participation, and about 100 actual applications and ideas, including participation from overseas countries. The selection process was extremely difficult since there were many excellent projects, but we chose the winners of the nine awards and the special awards from the sponsoring organizations after careful deliberation at the judges’ meeting. 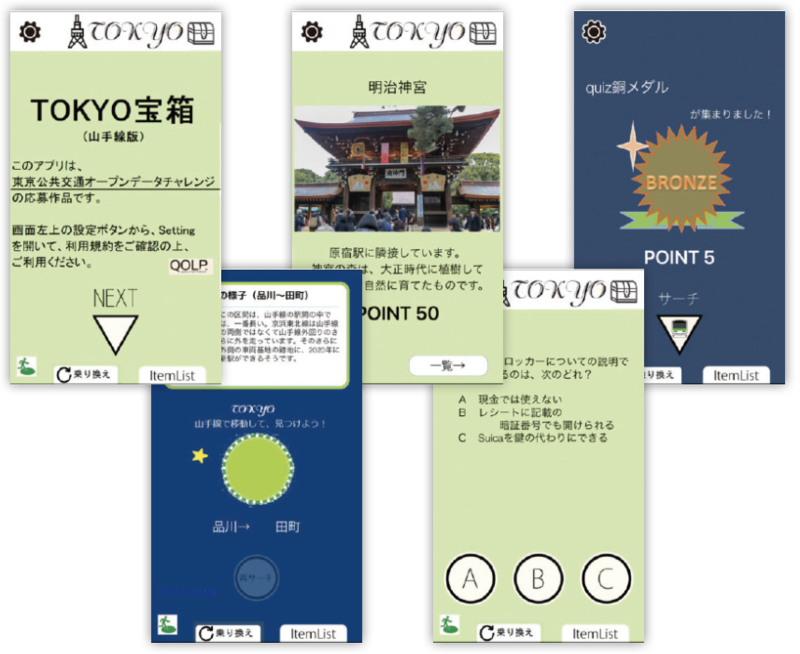 There were many applications which visualize the status of various means of transportation. 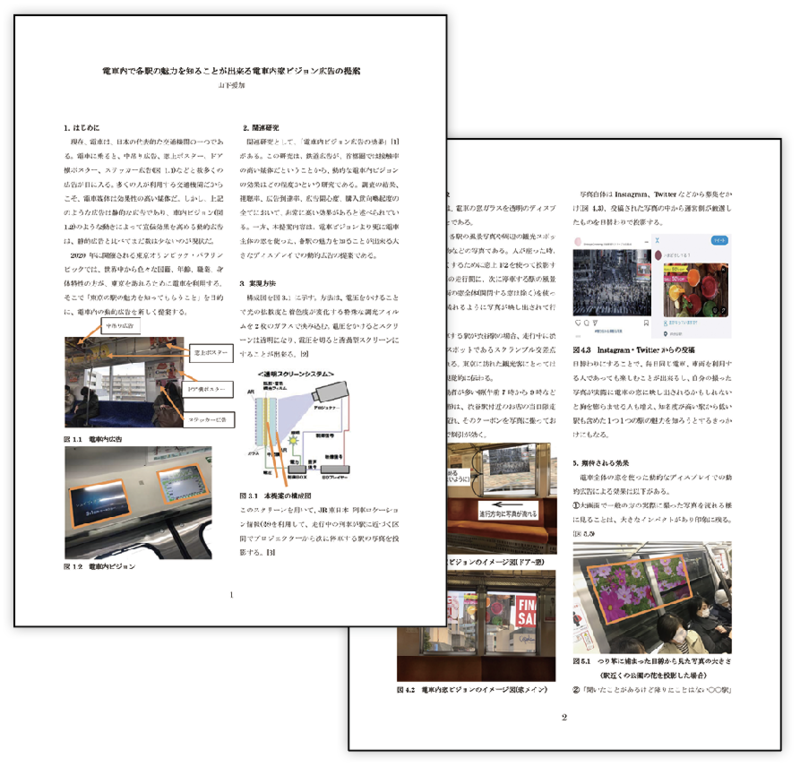 Among them, we chose “HEAVY 4D TOKYO” for the Super Excellent Award, which displays the operation status of trains and buses in 3D, for its polished, high-tech presentation. We selected the following four projects for the Excellence Award because they clearly demonstrate the importance and potential of public transportation open data. 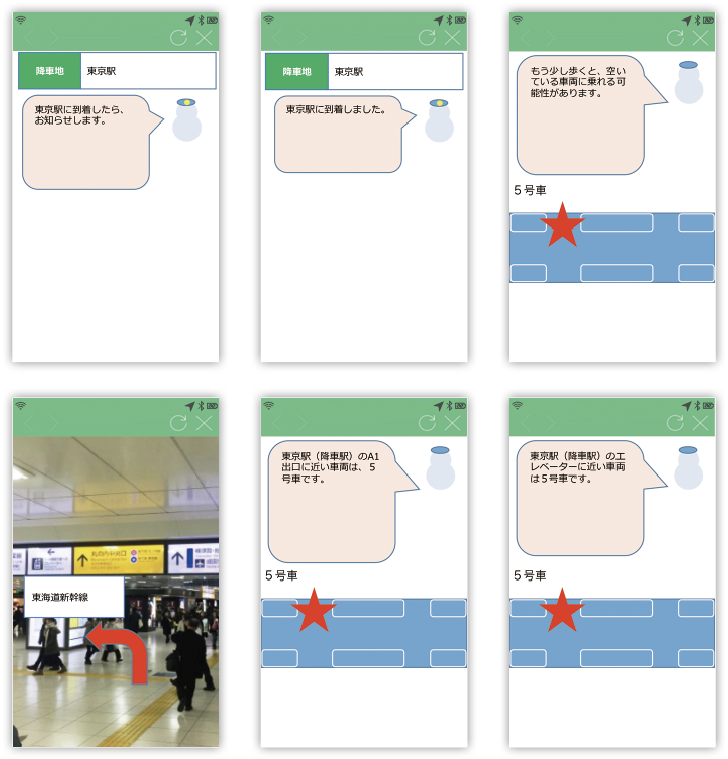 “Suittokun” is an application to support wheelchair access to railways. 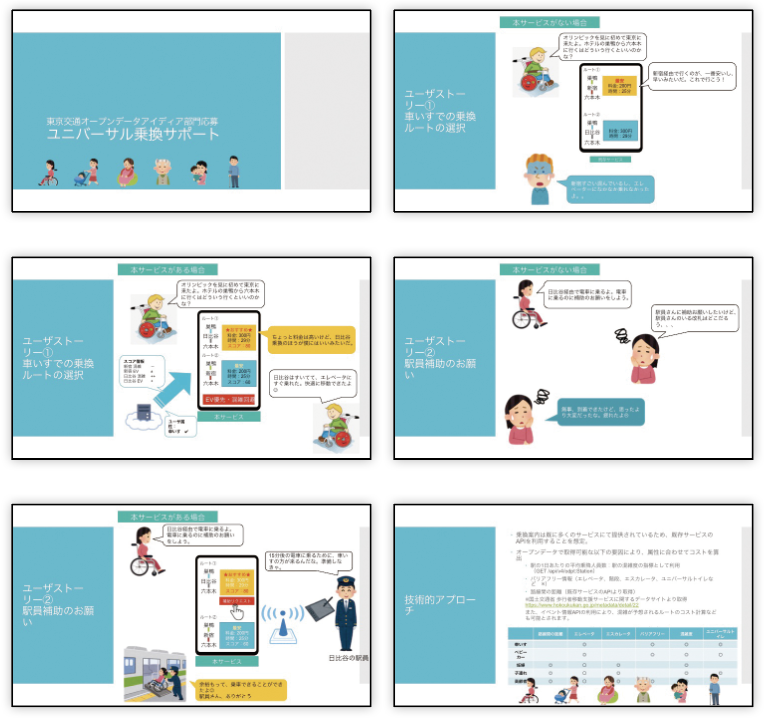 I have been thinking that it is an important role of open data to help transportation-disadvantaged persons, so I evaluate this work as a particularly excellent creation. “Restroom first” is an application that finds public restrooms along bus routes. 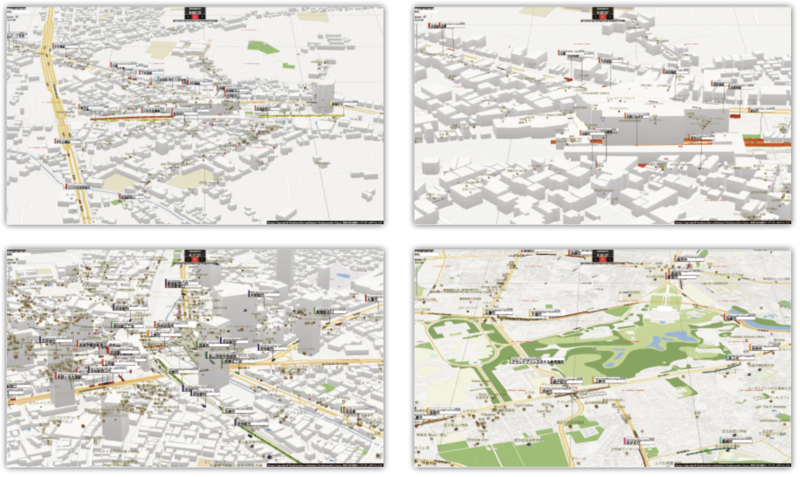 Besides its very useful function, we valued its implication of the possibilities in creating mashups with the open data of various other public facilities. 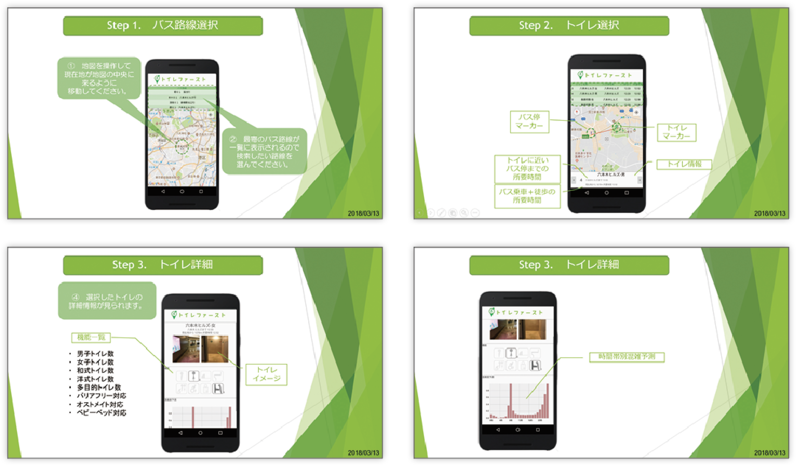 “Conveyal TAUI: Tokyo ODPT” is a website to support access to accommodations and sports arenas, which will be a challenge faced by foreign tourists to Tokyo in 2020. 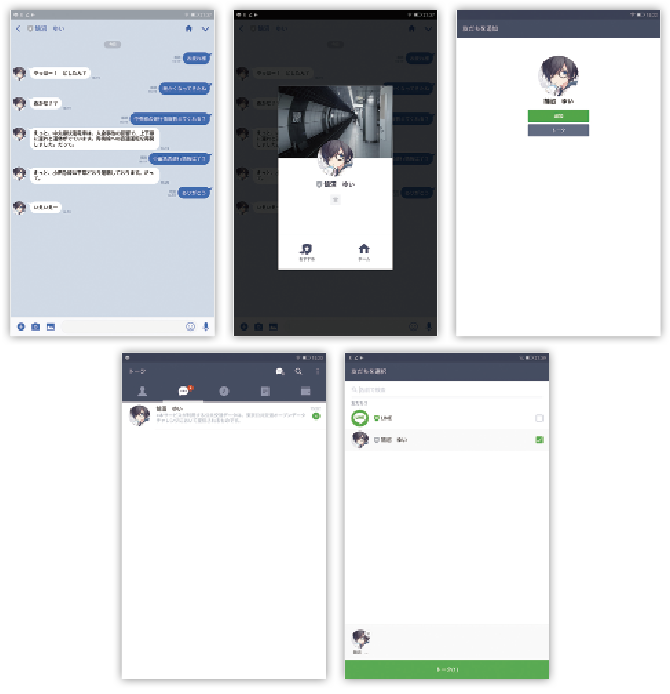 It has a high degree of technical perfection, and it is notable that such a work was submitted from an overseas applicant. 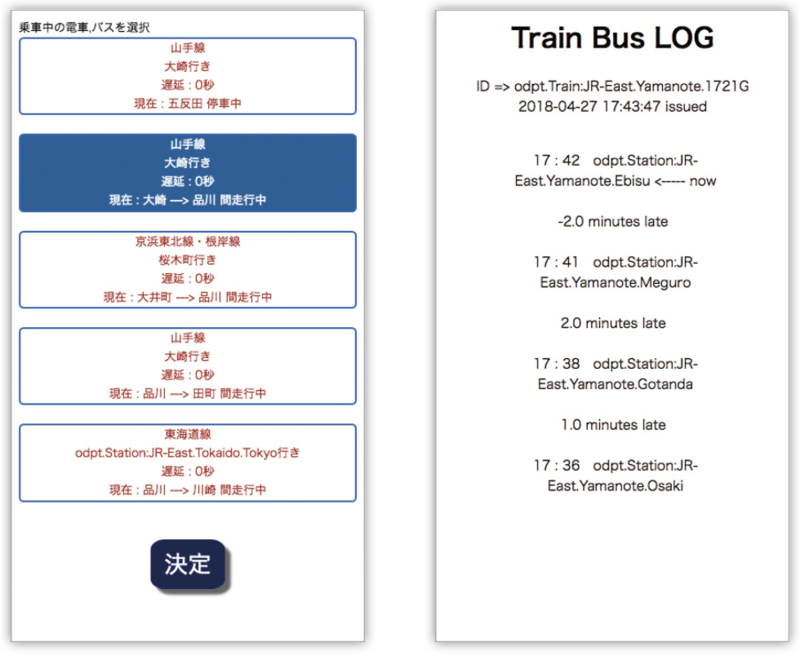 “Tokyo Lines” is an application that specializes in viewing public transportation data, presenting it with a unique UX. It is an excellent example of new ideas being born from open data. 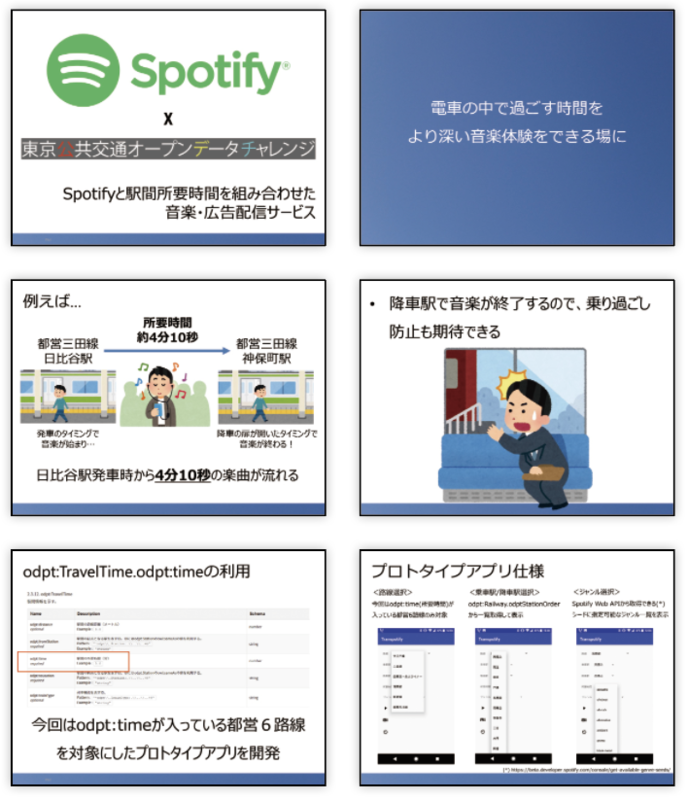 In addition to the above, three works, “Nearest train station AR display application,” “Delay report bot” and “Music and advertisement distribution service combining Spotify and the time required between train stations” were selected for the Judge’s Special Award. 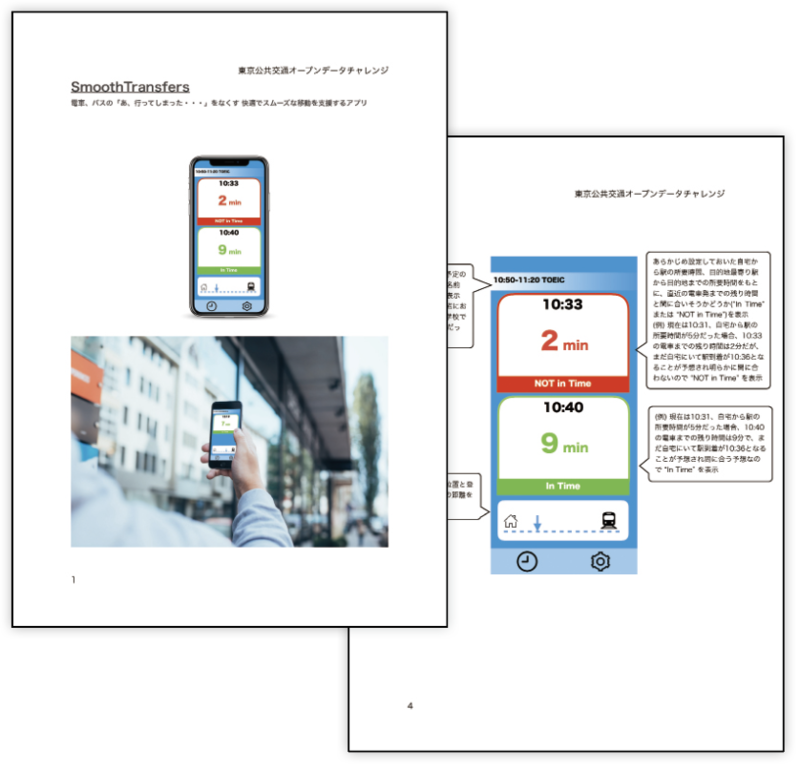 Many excellent concepts, proposed works, and well-made, technically sophisticated works were submitted to the “Open Data Challenge for Public Transportation in Tokyo.” I expect making available the public transportation data of Tokyo as open data to be the source of various innovations, and contribute to making transportation in Tokyo smoother and more accessible in the future. Operators working in many different modes of transportation participated in this contest. 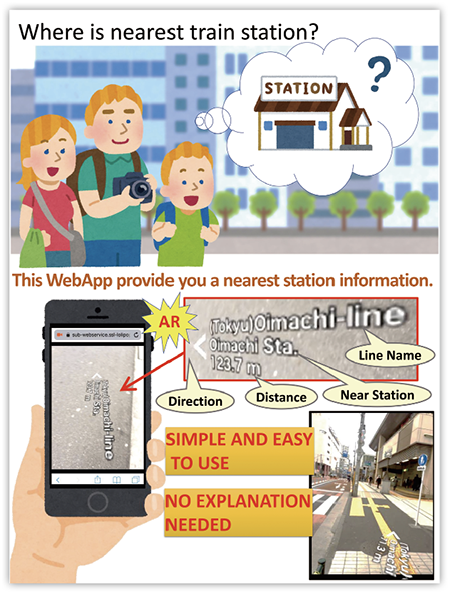 Four years ago, our company conducted an open data application contest to celebrate our 10th year of operation as Tokyo Metro. The open data was provided only from our company back then. For this time, the data from many public transportation operators were made available, so I feel times have changed. From such a viewpoint, I reviewed the projects focusing on how effectively the open data was used. 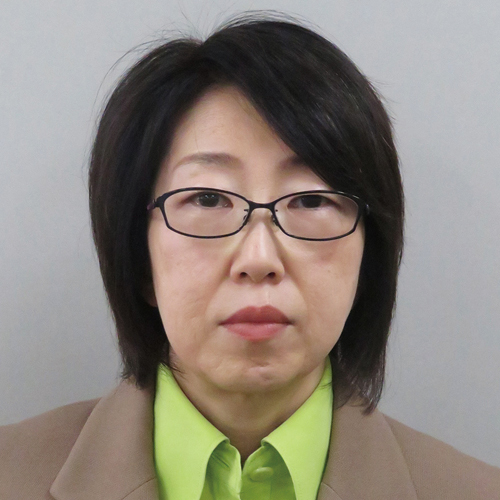 For the Tokyo Metro Special Award, I made a selection by focusing on our major challenges, i.e., the installation of platform doors and barrier-free facilities, and features of our services, such as operating underground and sharing services with other railway companies. There were many brilliant applications and it was very difficult to select just a few, so we had to harden our hearts to select the award winners. We respect the efforts of all the applicants, and deeply appreciate your work from the bottom of our hearts. I hope this contest serves as the impetus for reinforcing cooperation among these operators so that the convenience of urban transportation increases, and customers can comfortably use these services. Our company will also work on this goal with our utmost effort. 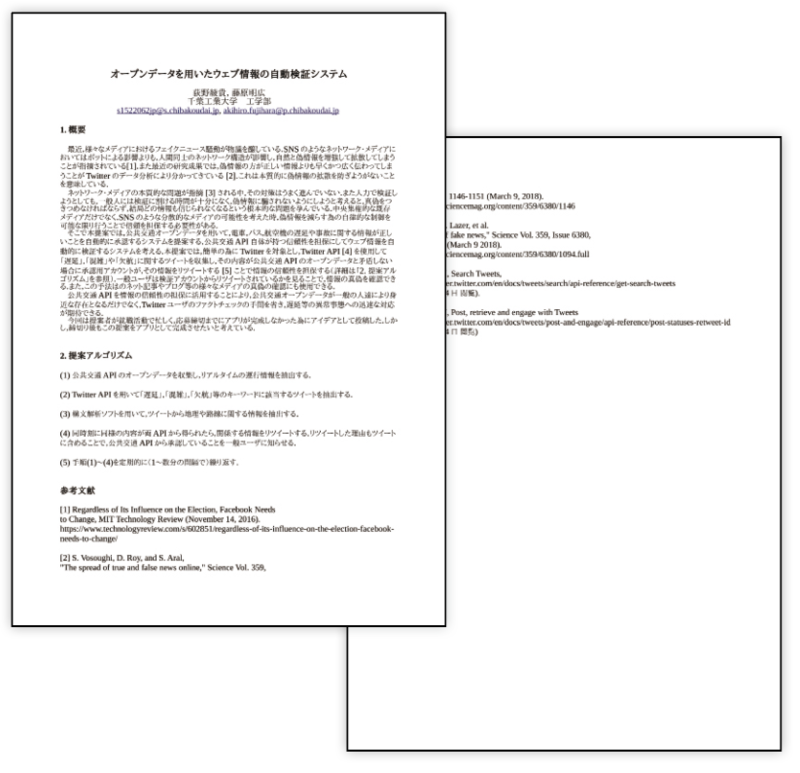 Thank you for the many applications to the Open Data Challenge for Public Transportation in Tokyo from home and abroad. I was impressed by the splendid ideas, sophisticated technologies, and enthusiasm found in the submitted works. 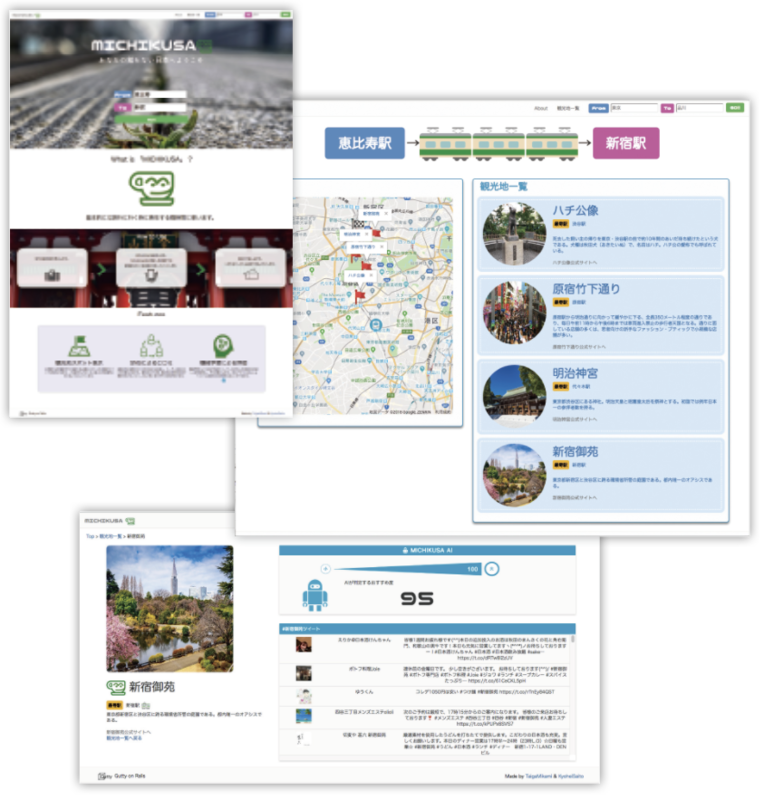 I found many applications considering various needs from the viewpoints of transportation users, such as indicating not only the transportation information, but matching it with tourist spots, information on restrooms, etc. I am glad that such works were created through this contest, especially considering the Olympic and Paralympic Games to be held in the Tokyo metropolitan area in 2020. 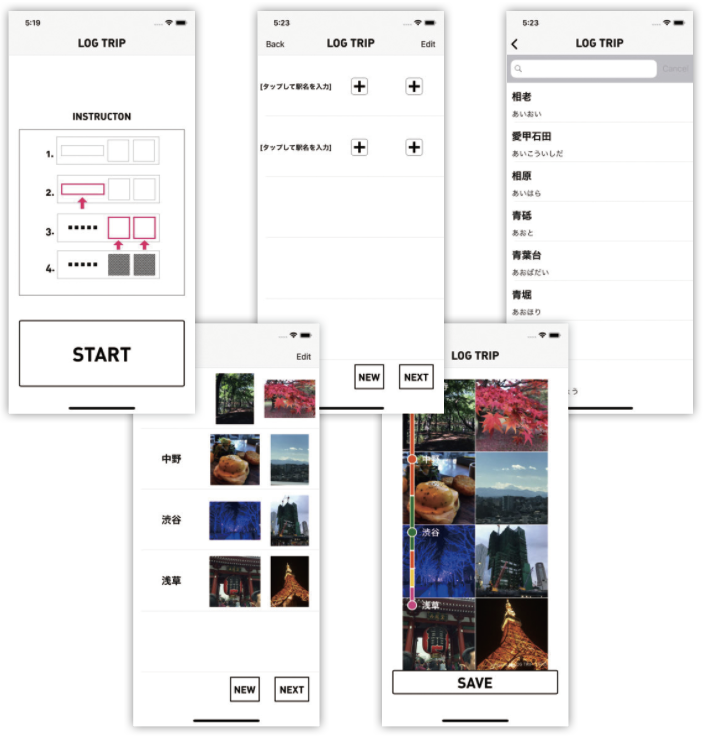 I chose useful applications that should naturally appeal to foreign travelers and people who are not used to walking in Tokyo. I expect that public transportation data will become more open, and that this will lead to many useful applications becoming available by 2020. 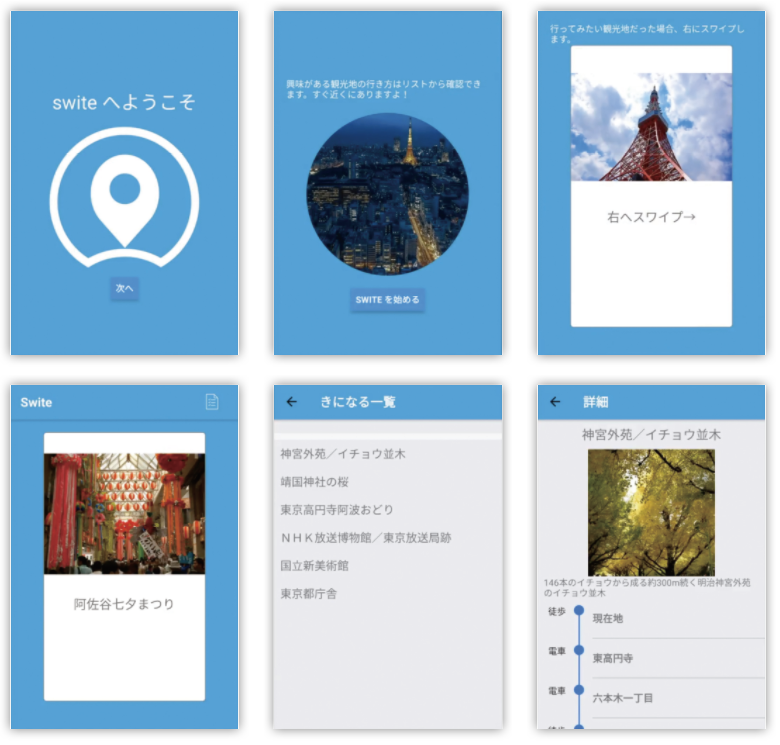 I think Tokyo will be a place where anyone can find their way and have various fun experiences using such applications in 2020. I believe in the power of open data. Since this was the first time the Association for Open Data of Public Transportation held a large contest like this, I was thrilled and excited to see what kinds of applications and ideas would be born. If I could briefly summarize what I thought after examining the submitted works, it would be “We, from transportation industry, could never have come up with or created these!” There were many ideas that we simply never would have thought of. All the submitted works, including the prize winners, were excellent, with such interesting innovations as methods of connecting data across the border of different public transportation operators, new user interfaces that are not found in the existing services yet, and concepts that consider public transportation not only as a means of transit, but something that creates added value through its connections with other parts of daily life. Above all, I was deeply moved that so many people were interested in public transportation open data, including our company’s, and sought to improve public transportation through innovative use of open data. I think it was also meaningful as an opportunity for us to renew our awareness that public transportation is created in partnership with its users. We would like to continue creating better public transportation with users through contests like this. I truly appreciate every person who worked to make this contest a success. Thank you. 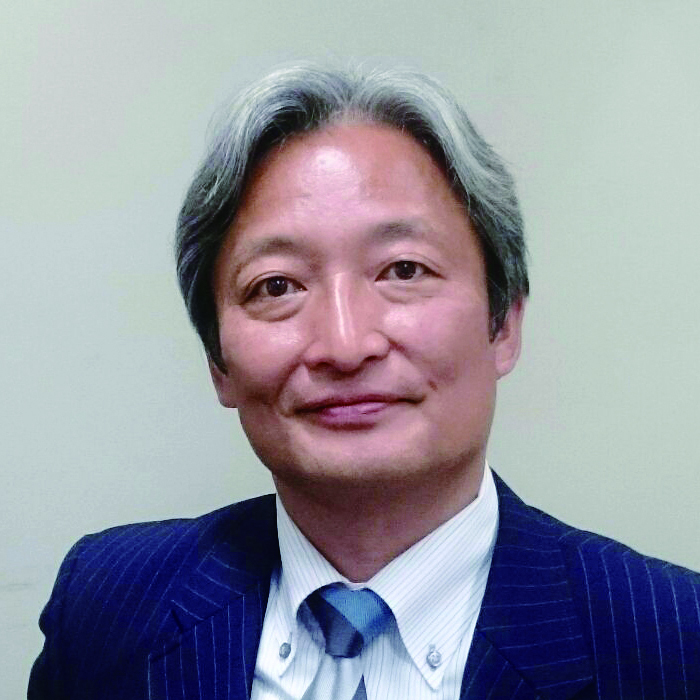 Most visitors to Tokyo 2020 will know the location of venues they want to visit, but they may be confused about how public transport connects those venues to hotels and other amenities in the region. 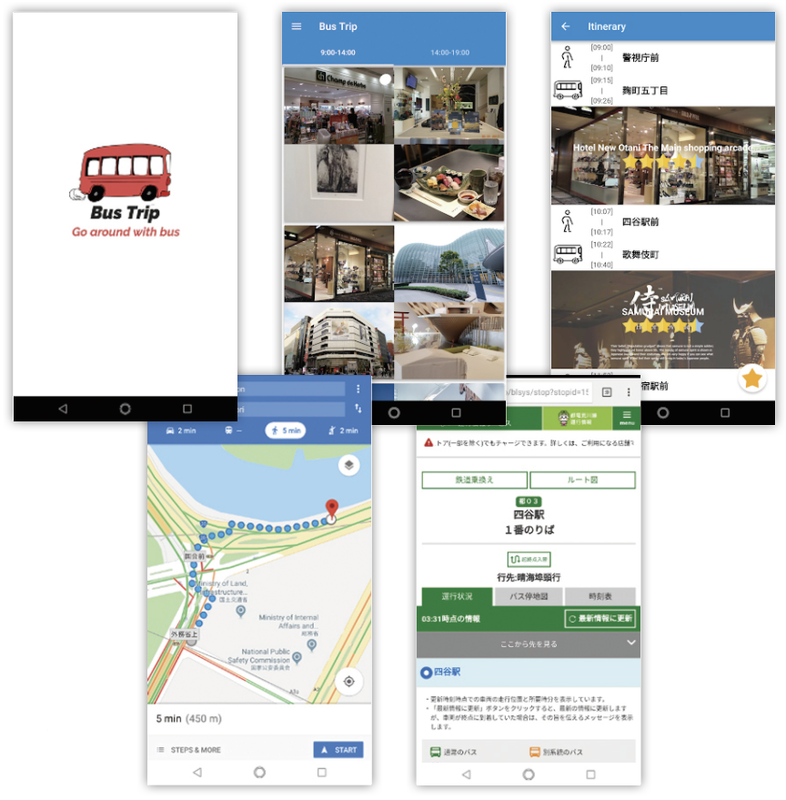 The goal of our application is to help visitors understand transport connections between the venues they want to visit, without displaying complicated details of exact timetables. Conveyal can help people understand all the places they can reach by public transport, from any start point in the region. Our public application is Conveyal TAUI (https://tokyo-odpt.conveyal.com/), a website that shows how far people can travel within a given amount of time from a selected start point. It also shows how many destinations of a chosen type (in this example, hotel beds) can be reached within that time. 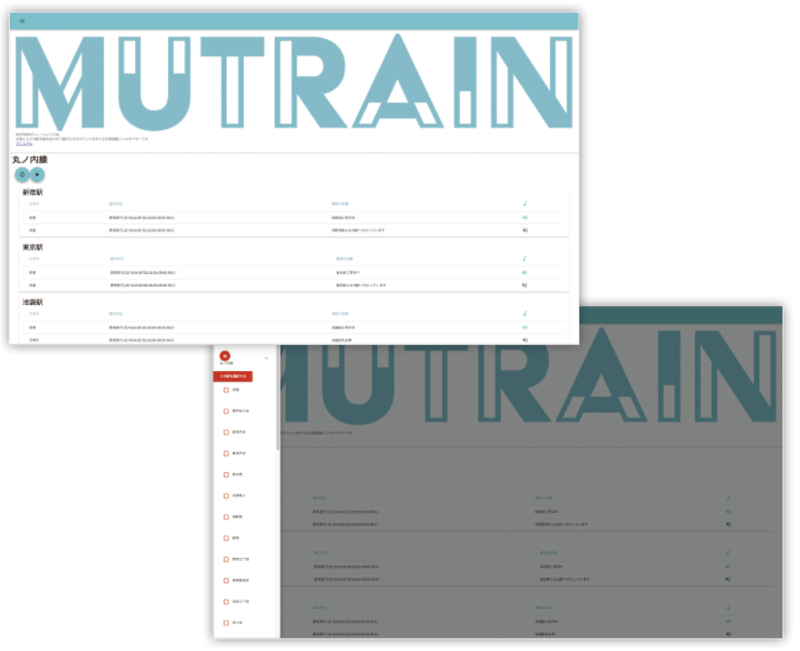 If users select an end point, they can also see example routes of how to travel from their selected start to that end. They can also compare the 2018 public transport network with the planned 2020 network (e.g. including new BRT lines). 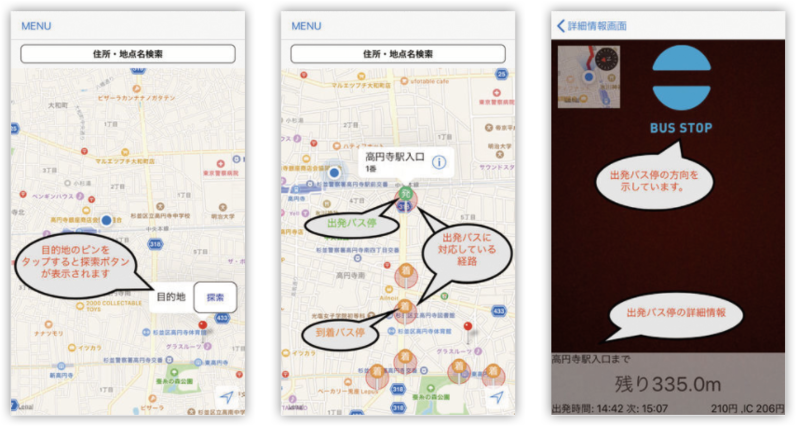 We combined public transport open data from Tokyo ODPT with open data from MLIT. 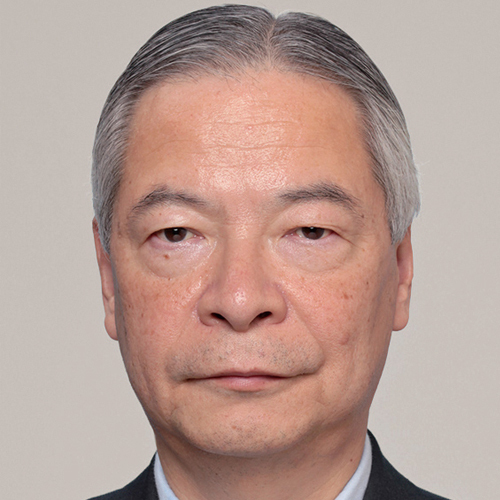 The TAUI application was prepared using open-source, web-based software (http://conveyal.com/analysis). We estimated some timetables for operators that were missing data, and Conveyal Analysis allows the TAUI application to be updated easily as additional open data are published.